Healing People Naturally Without the Use of Drugs. Headaches? Back Pain? Neck Pain? Injured? Get Fast Relief and Correction! HEADACHES? BACK PAIN? NECK PAIN? Gentle Touch Family Chiropractic, P.C. Doctor Can Be Reached Via Email or Voice 7 Days a Week. Laber Family Chiropractic Center P.C. Sybil L Williams, D.C., is a chiropractor located in Detroit, MI. Techniques: • Directional Non-Force Technique Take the next step and contact Dr. Sybil L Williams, D.C., for a consultation in Detroit, MI or to get more information. Edward J Kozlowski, D.C., is a chiropractor located in Detroit, MI. Techniques: • Diversified • Gonstead • Palmer Package • Nimmo • Sacro Occipital Technique Take the next step and contact Dr. Edward J Kozlowski, D.C., for a consultation in Detroit, MI or to get more information. Joann Smith, D.C., is a chiropractor located in Detroit, MI. Take the next step and contact Dr. Joann Smith, D.C., for a consultation in Detroit, MI or to get more information. Michael S Meeron, D.C., is a chiropractor located in Detroit, MI. Take the next step and contact Dr. Michael S Meeron, D.C., for a consultation in Detroit, MI or to get more information. Thomas W Moses, D.C., is a chiropractor located in Detroit, MI. Techniques: • Gonstead • Thompson • Pierce • Diversified Take the next step and contact Dr. Thomas W Moses, D.C., for a consultation in Detroit, MI or to get more information. Delilah Williams, D.C., is a chiropractor located in Hamtramck, MI. Take the next step and contact Dr. Delilah Williams, D.C., for a consultation in Hamtramck, MI or to get more information. Ted J Wietrzykowski, D.C., is a chiropractor located in Hamtramck, MI. Take the next step and contact Dr. Ted J Wietrzykowski, D.C., for a consultation in Hamtramck, MI or to get more information. A Algazali, D.C., is a chiropractor located in Hamtramck, MI. Take the next step and contact Dr. A Algazali, D.C., for a consultation in Hamtramck, MI or to get more information. Lawrence E Gallagher, D.C., is a chiropractor located in Hamtramck, MI. Techniques: • Diversified Take the next step and contact Dr. Lawrence E Gallagher, D.C., for a consultation in Hamtramck, MI or to get more information. Richard Huminski, D.C., is a chiropractor located in Hamtramck, MI. Techniques: • Diversified • Toggle Recoil Take the next step and contact Dr. Richard Huminski, D.C., for a consultation in Hamtramck, MI or to get more information. Mark Wrobel, D.C., is a chiropractor located in Hamtramck, MI. Take the next step and contact Dr. Mark Wrobel, D.C., for a consultation in Hamtramck, MI or to get more information. Demerius L Ware, D.C., is a chiropractor located in Detroit, MI. Take the next step and contact Dr. Demerius L Ware, D.C., for a consultation in Detroit, MI or to get more information. Robert Pizzimenti, D.C., is a chiropractor located in Detroit, MI. Techniques: • Toggle Recoil • Network • CranioSacral Therapy • Traction • Palmer Package • Applied Kinesiology Take the next step and contact Dr. Robert Pizzimenti, D.C., for a consultation in Detroit, MI or to get more information. Abduldayem Ahmed, D.C., is a chiropractor located in Dearborn, MI. Take the next step and contact Dr. Abduldayem Ahmed, D.C., for a consultation in Dearborn, MI or to get more information. Jawad Ibrahim, D.C., is a chiropractor located in Dearborn, MI. Take the next step and contact Dr. Jawad Ibrahim, D.C., for a consultation in Dearborn, MI or to get more information. Ronna Kay, D.C., is a chiropractor located in Detroit, MI. Techniques: • Diversified • Thompson • Sacro Occipital Technique • Hole in One Take the next step and contact Dr. Ronna Kay, D.C., for a consultation in Detroit, MI or to get more information. James Rugenski, D.C., is a chiropractor located in Dearborn, MI. Techniques: • Gonstead • Cox • Activator Methods • Thompson • Logan Basic Take the next step and contact Dr. James Rugenski, D.C., for a consultation in Dearborn, MI or to get more information. Van V Mericas, D.C., is a chiropractor located in Dearborn, MI. Techniques: • Diversified • Activator Methods Take the next step and contact Dr. Van V Mericas, D.C., for a consultation in Dearborn, MI or to get more information. Thomas W Moses, D.C., is a chiropractor located in Dearborn, MI. Techniques: • Gonstead • Thompson • Pierce • Diversified Take the next step and contact Dr. Thomas W Moses, D.C., for a consultation in Dearborn, MI or to get more information. Sami Makool, D.C., is a chiropractor located in Dearborn, MI. Techniques: • Thompson • Gonstead • Diversified Take the next step and contact Dr. Sami Makool, D.C., for a consultation in Dearborn, MI or to get more information. Nick Dimouski, D.C., is a chiropractor located in Dearborn, MI. Take the next step and contact Dr. Nick Dimouski, D.C., for a consultation in Dearborn, MI or to get more information. Rafic M Alaouie, D.C., is a chiropractor located in Dearborn, MI. Take the next step and contact Dr. Rafic M Alaouie, D.C., for a consultation in Dearborn, MI or to get more information. Ronald D Yolen, D.C., is a chiropractor located in Dearborn, MI. Take the next step and contact Dr. Ronald D Yolen, D.C., for a consultation in Dearborn, MI or to get more information. Ray Schoney, D.C., is a chiropractor located in Dearborn, MI. Take the next step and contact Dr. Ray Schoney, D.C., for a consultation in Dearborn, MI or to get more information. 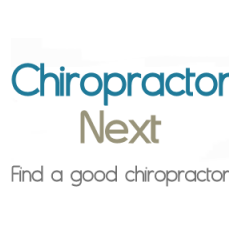 Erich Walter, D.C., is a chiropractor located in Dearborn, MI. Techniques: • Diversified • Cox • Activator Methods • Sacro Occipital Technique • Nimmo Take the next step and contact Dr. Erich Walter, D.C., for a consultation in Dearborn, MI or to get more information. Edward P Ruchala, D.C., is a chiropractor located in Dearborn, MI. Take the next step and contact Dr. Edward P Ruchala, D.C., for a consultation in Dearborn, MI or to get more information. William Nelson, D.C., is a chiropractor located in Detroit, MI. Take the next step and contact Dr. William Nelson, D.C., for a consultation in Detroit, MI or to get more information. Winsen C Zouzal, D.C., is a chiropractor located in Detroit, MI. Techniques: • Cox • Pierce Stillwagon Technique • Diversified • Markey Technique Take the next step and contact Dr. Winsen C Zouzal, D.C., for a consultation in Detroit, MI or to get more information. Gary A Shoemaker, D.C., is a chiropractor located in Detroit, MI. Techniques: • Cox • Flexion-Distraction • Diversified Take the next step and contact Dr. Gary A Shoemaker, D.C., for a consultation in Detroit, MI or to get more information. Luther Rosemond, D.C., is a chiropractor located in Detroit, MI. Techniques: • Thompson • Gonstead • Pettibon Take the next step and contact Dr. Luther Rosemond, D.C., for a consultation in Detroit, MI or to get more information. Gilbert A Royek, D.C., is a chiropractor located in Detroit, MI. Techniques: • Gonstead • Diversified Take the next step and contact Dr. Gilbert A Royek, D.C., for a consultation in Detroit, MI or to get more information. Reza Hafezi, D.C., is a chiropractor located in Detroit, MI. Take the next step and contact Dr. Reza Hafezi, D.C., for a consultation in Detroit, MI or to get more information.